Holiday eating is a huge event. Whether we are alone or with huge families, one thing is usually present. FOOD. LOTS AND LOTS of GOOD FOOD. The stores are packed with it. Costco sells is by the caseload. Even the iconic Santa looks like he’s full of it. Then there’s the eggnog… Oh the eggnog. That’s like 80000 calories per shot haha. This post is not here to shame you. I personally despise all the “thin-spo” stuff that permeates the web. It’s usually more negative in intention and attempts to shame people for their weight. From a mindfulness perspective… NOT COOL. If keeping thin is your thing, or you want the January gym rush to go a bit smoother this year, here are some great tips that use mindfulness to prevent you from over-eating and indulging in the “Holiday Bliss”. I got these from a great article on U.S. News and World Report, written by Donald Altman, M.A., LPC. : I’ll paraphrase. It’s a great article that you should check out. Psychologists have shown that when we watch more TV or are distracted while eating, we’ll consume up to 28 percent more food than if we are present with our meal. He advocates collecting mobile and wireless devices before eating. That’s a good idea given it will keep your consumption levels down, but also foster more connection and conversation, which we could all use… Unless your family is… well… one of “those” families that makes for good drama haha! Put down your utensil between bites. This will let you enjoy the taste of your food. Second, take a nice, long, satisfying breath between bites. 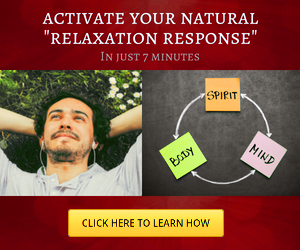 This can help activate the relaxation response. Finally, put on some soothing music that lasts at least 20 minutes and pace your eating to the music. That will allow you time for your body to tell you you’ve had all that you need. 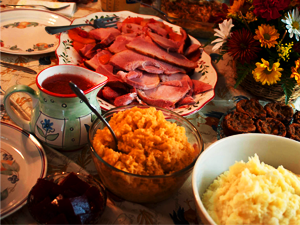 Chew slowly because there’s an enzyme in the saliva that helps pre-digest starch. Chew long enough to feel the solid turn to liquid in your mouth, then swallow. I wonder if this can help with heartburn as well… I need to try this one. Leave some food on the plate. This one is eh… Practice this long enough and you’ll know how much to put on your plate in the first place. Use these tricks and you can cut down your time in the gym come January haha. Or, just use this all year round and get good at it. It can only serve to benefit you in the long run. 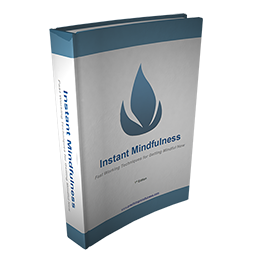 Join Our NEW Facebook Group and get a FREE copy of Instant Mindfulness. It's an eBook PACKED with mindfulness exercises and observations that will help you get mindful NOW. CLICK HERE TO JOIN NOW! If you want something more GUIDED, check out this course on Udemy and get lifetime access! 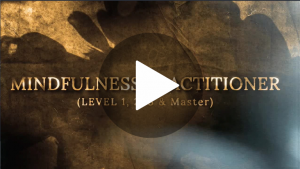 25.5 Hours of Stress Busting Mindfulness Training! ON DEEP DISCOUNT! You Get Lifetime Access. On SALE today! Best price I've seen in a LONG time!